So, I have been pretty distracted from geekiness for a while, but MBH was away, the kids have grown up and I noticed that Max2Play (which has been brilliant!) had introduced integration with OpenHAB, something I had never heard of. After a couple of evenings of fiddling, I now am able to achieve basic on-off control of the squeezebox using my google home. This is a result! I won’t go in to many details, but here are the steps as I remember them plus the key line of code. Register with myOpenHab to get your secret key, and put it somewhere (I can’t remember where that went, most likely in the Configure setting in OpenHAB Cloud the first time you use it. Then, use the instructions on this page to set up Google Assistant. It found my Power Control and I gave it a nickname “Squeezebox”. I can now say “Hey Google, turn off/on the Squeezebox” and it works! I found that to add other commands, you had to delete OpenHab from Google Assistant, then re-add it. I also set up the volume of the squeezebox as an item and called it “The tunes”. So “Hey google, turn up the tunes” works fine. I first started running with the squeeze ecosystem in about 2008. I ordered an original squeezebox from slim devices, which took months to come and arrived as a rebranded logitech squeezebox (not as handsome as the original). I first ran the server software on a specially bought Fit PC (which cost £250!). The Fit PC served me well, if slowly for several years. It travelled to New Zealand with us for a year, where I tried to install Windows 7 on it with no success. When we got back home I Father Christmas bought me one of the first generation of Raspberry Pis. With help from the internet I got the Pi running LMS (slowly). I was delighted. By now my display on the squeezebox was fading, and one day it stopped working. I sold it on ebay only to discover it was only the power supply. Argh! 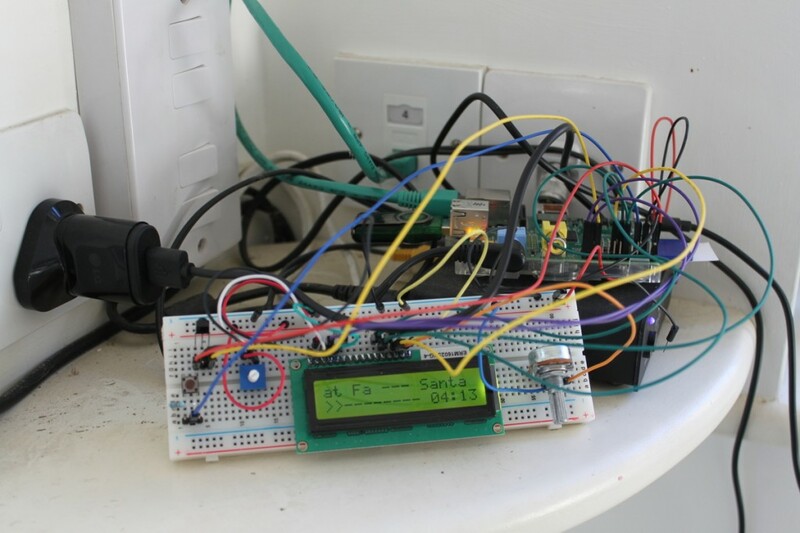 I then built my own hacked around player (RPizeBox) that even worked with the remote control. That got silly, so I bought a Squeezebox Touch in 2014. As new Raspberry Pis came out I updated the server by just moving on the sd-card. The server was pretty badly hacked together over the years as I used peoples’ work to solve problems with the BBC, Spotify etc. Eventually it began to be problematic a lot of the time. I decided to rebuild the server from scratch. But… before I did this I thought that things had moved on so much “there must be an image”. 2 minutes later and I was downloading max2play. Amazingly, within 20 minutes I had a working LMS. I was flabberghasted. So much work saved. I immediately dobbed them a 5 year license for all of €20. This new server was immediately more stable and faster than anything I had achieved with my RPi3. Half an hour later and an old RPi2 was plugged in to the living room amp through HDMI as a headless player. I ordered a HiFi Berry amp and 7″ touch screen for the RPi3 and a week later had a perfect replacement for my touch. No idea why I had not done this before. I guess it is time, but at the moment I am stuck at home recovering from a stupid operation in the sole of my foot. I got really thinking and rebuilt the pi connected to the amp as retropie, added squeezelite and kodi and xsqueeze and now can control the seezelite with the TV remote. Result! The troops are delighted and we all wonder why I never did this before. The only downside is the lack of remote for the new “Touch” in the kitchen, but I am hoping that hab-tunes.com can fill that gap. Started on February 29th. 110g of priming sugar @ 5g per litre. Again the alcohol content looks really suspiciously low. Dodgy measuring I guess. I have an HP TouchSmart 600-1220uk Desktop PC that I keep ticking over. A while back I did a fresh install of vanilla Windows 8, and then recently upgraded to Windows 10. Now that winter is drawing in I became frustrated that the “Ambient Light” feature was only blue. I remembered that you could have any colour when I got the PC originally. Luckily 7zip came to the rescue. I opened the file as an archive and kept drilling down until I found a folder that contained HPAmbientLightSetup_x64.msi. I ran this and it installed immediately with no fanfare. It just works. Simple program but it is nice to get away from the blue once more.